This is a non-absorbable surgical suture that is made up of organic protein, fibroin. They are processed to remove natural waxes and gums from its origin. 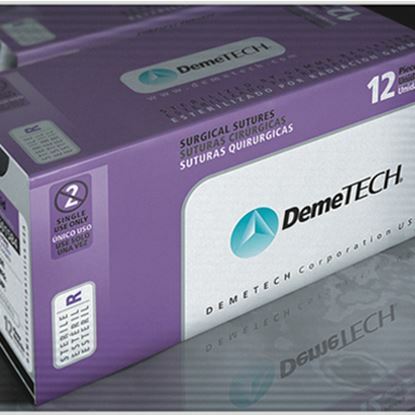 Just like other sutures from DemeTech, silk sutures offer the best quality and the price that is affordable. 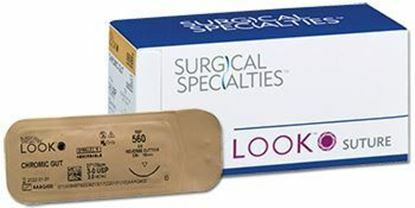 This a synthetic, absorbable and sterile suture which is made up of 100% glycolide. PGA chemical formula is (C2H2O2)n. 84% of PGA from DemeTech’s remains after two weeks according to clinical trials. At four weeks 23% of PGA remains. It is composed of purified connectivity tissue mostly collagen which mostly is derived from sheep or beef intestine. It is normally composed 97% -98% collagen component. It is absorbable and sterile making it even easier to adapt to the enamel. Its tensile strength usually lasts 10 days and its absorption normally takes 70 days. This is an absorbable sterile suture that most time is made from sheep or beef intestine. It is treated with chromium to resist the body enzymes causing the days to prolong to 90. The 97%-98% collagen quantity makes this suture be of high quality. It allows for smooth passage to the tissue and it has easy knotting techniques. Made by Surgical Specialties Corporation, with over 50 years suture manufacturing experience and over 25 years experience making stainless steel suture needles. ISO 9001 approved. All products meet or exceed FDA and QSR requirements and U.S.P. specifications. You get consistently sharp cutting needles plus resistance to bending and breaking. All sizes are reverse cutting.